Mechanical musicians are not too big news, but the Arpeggio robot, it seems, can easily perform in any philharmonic society. Another question is whether someone will listen to it. 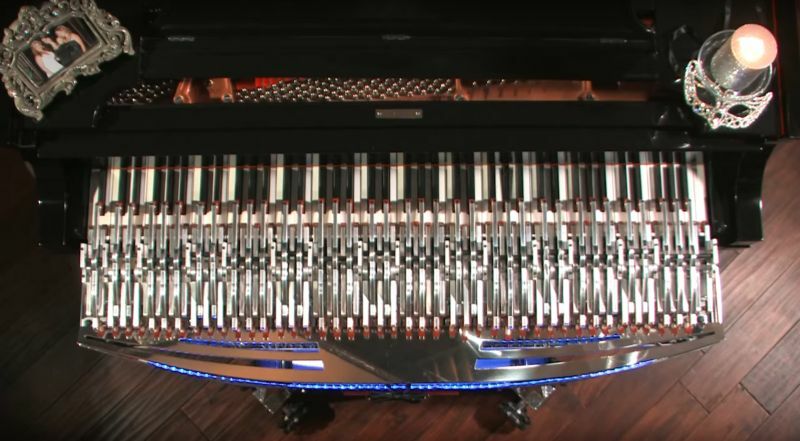 Arpeggio is a unique robot, as it can play on any keyboard, starting from the “Kasio” synthesizers and ending with the “Steinway” concert grand pianos. It automatically adapts to a tool of any size, always gets into notes and even perfectly controls the pedals. With the help of program updates, he can play everything from classical works to jazz, and soon he will be able to perform concerts on requests, as creators constantly improve it.